Saša Jankovic is a pharmacy journalist and business writer (www.sasawrites.com). Saša recently reported on the issue of gender inequality in the pharmacy profession and its impact on the careers of female pharmacists. The article ‘From the shop floor to the glass ceiling’ was featured in the March 2018 print edition of The Pharmaceutical Journal and was a catalyst for the #PJMindTheGap Twitter chat on gender inequality in pharmacy. The first pharmacists are about to start work under a new pharmacists in GP practices scheme. What do existing practice pharmacists do and how will the new roles differ? More than seven million patients will soon be able to get advice from a clinical pharmacist when they visit their GP, thanks to NHS England’s clinical pharmacists in general practice scheme, which will see one senior clinical pharmacist and five clinical pharmacists based in each local surgery pilot site. Many GP practices already employ pharmacists in patient-facing roles, but the aim of the pilot is to build on these successes and further integrate pharmacists into the general practice team. 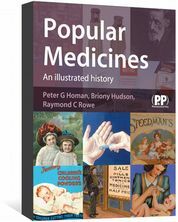 Clinical pharmacists in GP surgeries will resolve day-to-day medicine issues and consult with and treat patients directly. This includes providing help to manage long-term conditions, advising those taking multiple medicines (polypharmacy) and delivering clinical advice about treatments. They will also assist with communication across a patient’s care pathway, manage medicines shortages by suggesting suitable alternatives where appropriate, and mentor newer pharmacists. Amin says some GPs have told her “they don’t want a pharmacist because they could show them up, and I have heard that nurses wonder what will be left for them to do”. However, she thinks “there is plenty of work for all of us as long as we don’t duplicate. This means practices need to be clear from the start about what they want the pharmacists to do, but this also needs to be understood by the whole practice team”. With many practices currently recruiting, there are opportunities for pharmacists wanting to get into these roles, even if they have not worked in a GP practice before. Or, like Hutton, pharmacists could seek out the role themselves. After seeing a report on the BBC about GPs wanting pharmacists to work in their surgeries to help reduce pressure on ever decreasing numbers of primary care doctors, Hutton contacted the senior partner at a nearby surgery and asked if he had ever thought of employing a practice pharmacist. After meeting for an informal chat with him, followed by a presentation and discussion with the other partners and some of the staff, she now works for the practice three days a week seeing patients, doing medication reviews, implementing policies (for example, reducing the use of non-steroidal anti-inflammatory drugs or proton pump inhibitors) and, she says, “basically anything to do with drugs that the staff ask me to do”. Hutton recommends that anyone considering the job needs “experience in general, a willingness to learn and to be able to get on with people”. Amin believes “there are many skills that are transferable from community pharmacy: business skills, analytical skills, consultation skills, time management, record keeping and working in a solo environment.” However, she stresses that practice pharmacists should be “confident to work within their own competencies but [should not] be afraid to ask for help and extra training where needed”. 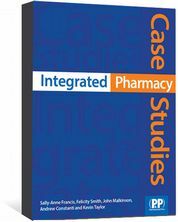 When it comes to the pilot, all pharmacists who participate are expected to undertake predominantly workplace-based development and education provided by the Centre for Postgraduate Pharmacy Education (CPPE). This pathway will be underpinned by the RPS advanced practice framework and is further supplemented by the core practice curriculum. CPPE expects that successful completion of the pathway will enable trainees to apply for RPS Faculty membership. NHS England, Health Education England, the Royal College of General Practitioners (RCGP) and the British Medical Association’s GP committee are working with the RPS on the scheme, which NHS England will co-fund alongside practices. 20% for the third 12 months. After this time period, if the posts have been of benefit to patients, GPs and practices, they will then be funded wholly by the practice, cluster or federation. Like any new initiative, there have been teething problems. Amin says many practices applying for the pilot “got stuck in a bottleneck as they are not really set up to do these kinds of applications, and then there are the challenges of attracting the right people when you advertise”. As far as challenges for pharmacists taking on the job, Amin suggests applicants “get a clear remit for their role and what it is they will be expected to do”. Mike Holmes is a partner at the Haxby Group of ten GP surgeries in York and Hull, and clinical lead for the RCGP’s supporting federations programme, which helps practices collaborate and work at scale to improve services in primary care. The Haxby Group has had practice pharmacists for four years and now has three — two in York and one in Hull. It is also part of the clinical pharmacists’ pilot with five more pharmacists set to be in post by the end of July 2016. Holmes says issues with GP recruitment mean that “the workforce has to evolve, and bringing in pharmacists and other clinical practitioners to work hand in hand with our doctors is one way we can address the workforce challenges we are seeing at the moment”. You can use the following forms to record your learning and action points from this article from Pharmaceutical Journal Publications. 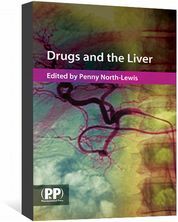 Your CPD module results are stored against your account here at The Pharmaceutical Journal. You must be registered and logged into the site to do this. To review your module results, go to the ‘My Account’ tab and then ‘My CPD’. Thank you for your piece, it was truely inspirational! I myself is trying to merge into a GP practice and would love to see a copy of your presentation as I need some ideas on how to get these GPS on board :! I cant log onto pharmacy forum. Is there any other way I could get in touch with you please?? Can I get w copy of your presentation emailed at zamzam.rahman@gmail.com. I have done the same and contacted local surgeries and a few have called me in for an informal chat. Your presentation will be appreciated. well done for your work. very inspiring. Can you send me a copy of your presentation please. i am thinking of applying for similar job and i am sure i can have some useful tips from your presentation. This article gave me good overview of what to except when working in GP Practice.I am applying for the GP practice pharmacist roles and your presentation would be really useful.Can I get a copy of your presentation emailed to me at amulyanarne@gmail.com plz. Thanks in advance. I am just about to start a new job in a GP practice this article was one I read before applying . This gave a great overview of the role and your presentation would be really useful. Can you email this to me? HI Elaine i am looking into a GP practice role, i have an interview coming up will you be able to send me your presentation, to help me prepare? will be extremely grateful. The email address is safwanadam@hotmail.com. Enjoyed reading this article about your role in GP practice. Is it possible to send me your presentation please to manjeetlundh@nhs.net. 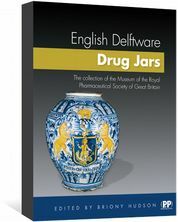 This beautiful book illustrates the art and history of the collection of English delftware drug jars in the Museum of the Royal Pharmaceutical Society of Great Britain. 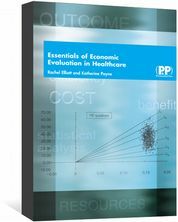 An introduction to economic evaluation specific to healthcare, for those with little or no knowledge of economics. Covers cost effectiveness, cost utility and cost benefit analysis.